On Monday 1st April 2019, Great Malvern took part in the Large Schools Netball competition at The Chase High School. We were fortunate enough to bring along two teams to the competition, doubling our chances of winning silverware. Both teams were grouped into a pool of teams, where they would play two matches. The more matches we won the further we would progress to the finals. Both teams played fantastically, so good in fact, that one of our teams progressed into the finals. Each player gave it their all and ended up coming second overall, just missing out on the trophy by one point! It was a privilege to bring along two enthusiastic and well behaved teams to the competition. Our sportsmanship, as ever, was brilliant and the effort put in from each child was fantastic. On Tuesday 19th March 2019, a group of 12 pupils from Years 5 and 6 were selected to represent the school in the Level 2 School Games Orienteering competition held at Malvern College. The children were split up into groups of four and were set challenges throughout the duration. In order for the children to be successful and to qualify for the next stage, they needed to work as a team having clear communication with one another when completing the tasks. Our children worked extremely hard as a team and it was fantastic to see each child engaged with the tasks. The hard work paid off and we were successful enough to qualify to the Level 3 stage, which will be taking place at some point in the summer term. On Friday 15th March 2019, 8 children from Years 4, 5 and 6 were selected to represent the school in the Level 2 School Games Indoor Mini Tennis competition at Manor Park. The tournament was split up into two separate competitions, a Year 4 tournament and a Year 5/6 tournament. The children started off very strongly and performed some fantastic tennis. The ability level was very tough and we knew it wasn’t going to be a walk in the park for us. We gave it our all and came in 2nd place in the Year 4 competition and 3rd in the Year 5/6 competition. Our sportsmanship and behaviour was excellent! A special thank you to Manor Park for hosting the competition. On Monday 4th February 2019, Great Malvern was lucky enough to be invited to a dance festival held at The Chase High School. 35 children across both Year 4 classes were selected to take part in this exciting opportunity, developing and learning new skills in dance. The children were split up into three groups and would all learn a specific routine as part of a dance which would be later showcased in front of everyone who attended. With the help of specialist dancers from Dance in Motion, The Chase staff and Chase students, the children learnt Cheer, Street Dance and Contemporary Dance which they were very excited about. In time that they had, the children were able to share and discuss ides with other children from different schools coming up with sequences and movements to enhance their routine. Towards the end of the festival, the children managed to perform off what they had learnt in front of a very large audience and were very proud with what they had produced. The staff that accompanied the children to the festival were so impressed with how they behaved and how hard they worked. On Thursday 18th January 2019, Great Malvern were invited to take part in the Level 2 School Games Sportshall Athletics at Dyson Perrins High School. 18 children from Years 5 and 6 represented the school in this prestigious event, where they competed against other schools within the area. The children took part in a variety of different track and field events, performing fantastically in both. The format of the competition was split up into girls and boys, where the girls would race in the track events first whilst the boys would take part in field events and would then swap over. Due to our success, we managed to win the majority of our track and field events, putting us in a very comfortable position to progressing to the Level 3 Stages. As of yet we are still waiting for the deciding results to determine our outcome, so fingers crossed! More information will be provided. A special thanks to Dyson Perrins for hosting the Level 2 School Games Sportshall Athletics. 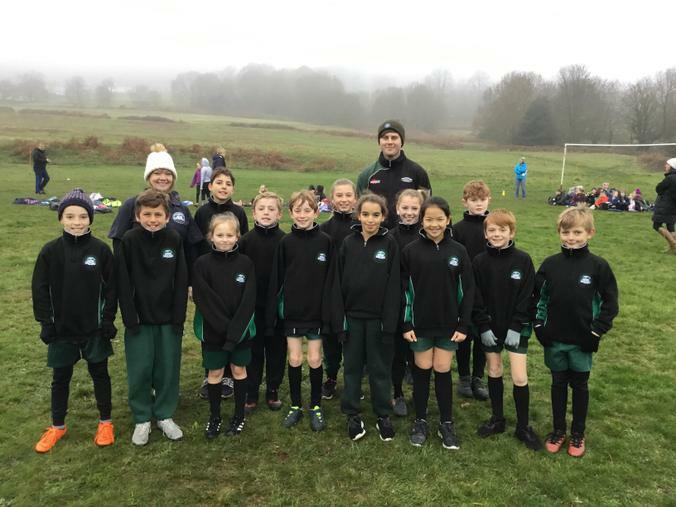 On Friday 23rd November 2018, Great Malvern were invited to the Level 2 School Games Cross Country which was held at Peachfield common. Although the school was closed for an inset day, we thought that this competition was too greater an opportunity for the children to and decided to still participate. 13 children from Years 4 and 5 were allocated a specific category to race in. There were around 500 children that participated in the competition which was daunting for a few of our children who were new to the unfamiliar environment. The children’s performance was exceptional throughout the day, we came 1st place in two races and finished in third place in one other. The majority of the team finished in the top 20, which is a fantastic achievement considering there were around 50 participants in each race. Our presentation on the day was fantastic, we looked very smart and the behaviour was, as always, superb. On Monday 19th November 2018, Great Malvern were lucky enough to be invited to the annual Kurling, Archery and Boccia (K.A.B) festival at The Chase High School. 12 children from Years 5 and 6 were selected to represent the school to participate in three sports which they had not played before. The sports that the children played were Kurling, Archery and Boccia and spent around 25 minutes on each sport consisting of three different activities. The children loved every minute of the festival and were sad to leave. It was great to see them interact with other children from different schools within the area. Our behaviour was excellent as always and the children gave 100% effort in each activity and sport. A special thanks to The Chase for hosting the K.A.B festival. On Friday 9th November 2018, Great Malvern took part in the second lot of fixtures in The Chase Cluster league at The Chase High School. The same group of boys and girls were selected to represent Great Malvern, competing in football and netball, hoping to continue their fantastic form from the previous weeks. Both teams played three matches this week and it was vital that we continued where we left off if we wanted to finish near the top of the league (for both football and netball). Both teams did exactly what they needed too, the footballers managed to win 2 of their matches and lost their last game against a very tough opponent. The team have played brilliantly, out of 5 games the team have managed to win 4 and lose one which is a fantastic achievement and puts us in a very comfortable position for the remaining fixtures, which will take place next year. The netball team were unbeaten in this week’s fixtures managing to win 2 of their matches and drawing the other. Again, it’s fantastic to hear how well we are playing in these competitions. Out of 5 matches, the team have ended up winning 3, drawing 1 and losing 1 which puts us in a good position ready for the final fixtures. Onwards and upwards for the remaining fixtures. On Monday 22nd October 2018, Great Malvern were invited to take part in the Worcestershire West School Games Quick Sticks Hockey at The Chase High School. This year Great Malvern were lucky enough to enter two teams from Years 3 and 4 this allowed more children to participate and increased our chances of winning the competition. The teams consisted of 6 children (3 boys/3 girls). The rules stated that only 2 boys and 2 girls could be playing on the pitch at a time so it meant that both teams would have two subs. Both teams were split up into two groups consisting of 5 other schools and would play each school once. Mr Giles was in charge of the Year 4 team and Miss Martin was in charge of the Year 3 team. Both year groups got off to a fantastic start, so good in fact, that the Year 4 team managed to go unbeaten winning 3 of their matches and drawing 2. Out of a possible 15 points, Great Malvern managed to gain 11 which is a fantastic achievement. In the group stages, the team managed to score 11 goals and only conceded 1. As we performed so well, we ended up winning the group and qualified for the semi-finals! The Year 3 team managed to score a total of 8 points out of 15 which again is a massive accomplishment considering this was their first major competitive Hockey competition. The team came second in the group only missing out on top spot by a few points which meant that they would not progress any further in the competition. The semi-final took place and it was a very close match, both teams had their chances of winning the game. Through perseverance and determination, we managed to score right in the dying moments of the game putting us through to the final. Everyone was excited to be in the final and this was the furthest we had reached for many years so the team were in high spirits. The team knew that this would be the toughest game of the competition and needed to perform perfectly in order to win and progress to the Level 3 stage. The team gave it their all but sadly they were unable to win and lost the match 3-0 to a very strong team. Both teams played fantastically and they should be very proud of their achievements. Thank you to The Chase staff for organising the competition. On Wednesday 10th October 2018, Great Malvern were invited to take part in the Girls ESFA U11s Football competition which was held at Dyson Perrins. 8 Girls from Year 6 were selected to represent the school in this Football competition against a total of 8 schools across the area. Before the competition started, the team were placed into a group (consisting of 3 other schools) and would play against each other once. The matches lasted for around 7 minutes with no half time. The girls ended up drawing their first few opening games and managed to win their final game 2-0. Throughout the whole competition, Great Malvern did not concede a goal which is a fantastic achievement. Unfortunately, the girls were unable to progress through to the semi-finals on the basis of goal difference which was so unlucky. However, the team played with 100% effort, on and off the pitch, producing some very impressive moments in their games. A huge congratulations to the 8 girls that represented the school in this competition and a massive thank you to Dyson Perrins for hosting the event. On Friday 5th October 2018, Great Malvern took part in the annual Chase Cluster league, competing in Football and Netball. 10 boys from years 5 and 6 were selected to represent the school against two other schools in the first fixtures of the competition. Our first game was against Malvern Wells who were a very good team. We managed to control the game well in the first half and had numerous chances of scoring but ended up hitting the post. In the second half we managed to score a fantastic free kick which was arguably 20+ yards away from the goal giving us the lead and victory. The second game that we played was against Rushwick who yet again were a very good team, so good in fact that they scored right at the start of the match. The guys knew that this game in particular wasn’t going to be easy so they had to battle and work well as a team. Shortly after conceding the goal Great Malvern stepped up a gear and started to play some fantastic football, resulting in a great team goal. In the second half we continued where we left off, we had chance after chance of scoring but couldn’t find the end product. Eventually our persistence paid off and scored another well worked team goal. Winning both of our fixtures is a fantastic achievement and a great start to the league, the football was excellent and the team effort was out of this world. Well done lads! Similar to the football fixtures Great Malvern’s netball team played two matches. The first match that they played was against Malvern Parish who ended up winning the match 4/2. Although it was a loss, the team showed courage and team spirit, for a few of the players it was their first taste of competitive netball, which was a shock to the system as it was fast-paced. The second match was against Malvern Wells and it sounded like a really close game and the score shows it. Great Malvern managed to win 3/2 and they played some fantastic netball, which is an excellent start to the league. Congratulations to all of the scorers from both the football and netball teams, what a great start to the league! On Wednesday 3rd October 2018 Great Malvern were invited to take part in the U11s ESFA Football competition which was held at Dyson Perrins. 10 children from Years 5 and 6 were selected to represent the school in this competition, competing against 5 other schools within the area. The team were placed into a group, with 2 other schools, and would play each other twice. The games lasted for 7 minutes (without half times), making the matches fairly short so it was vital that we started each game off well. The first opening games were tough but we still managed to get three points despite losing the first match 1-0. The second time round, the lads performed very strongly and were unbeaten having only conceded one goal. Out of the four matches that we played the team ended up winning 2, drawing 1 and losing 1 game. Out of a possible 12 points, Great Malvern had 7 points allowing us to progress through to the semi-final. In the semi-final we played St Matthias and the team played fantastically, so well in fact, we ended up winning the game 3-1 comfortably sending us through to the final against Kempsey. This was the furthest Great Malvern had progressed in this competition for many years and the team were in full spirit. The final was a very tough and physical match where both schools had their chances of winning and putting the game to bed. The final whistle was blown which meant that the final outcome would be decided by penalties. This was the first time the lads had come across penalties in competitions like this so it was mixed feelings all round. Unfortunately we lost by one goal which was devastating for the team but what they achieved was brilliant. Many thanks to Dyson Perrins for hosting the competition. On Tuesday 25th September 2018, Great Malvern were invited to take part in the annual Quicksticks Hockey matches at Somers Park Primary School. 16 children from Years 3 and 4 were selected to represent the school in this fixture. Both Year groups were split up into two teams with 2 boys and 2 girls on the pitch at the same time with roll on roll of subs. Both year groups played some fantastic Hockey, particularly the Year 3 team which was brilliant to see. The Year 4 games looked very competitive and Somers Park weren’t going easy on the Great Malvern side. Despite all this happening the end result wasn’t to our favour and lost both matches for the Year 4 competition. However, the coach at Somers Park was very impressed with how the guys played as a team and some of the Hockey that they performed was fantastic. Out of the two games that the Year 3 side played they ended up drawing and losing. Considering it was their first major competition they should feel very proud of what they achieved. A massive thank you to Somers Park for hosting the competition. On Monday 18th June 2018, Great Malvern got into the World Cup spirit and throughout the whole school, reception included had a football themed week. Each class were allocated a country and across the week learnt about their culture, traditional foods, celebrities, traditional dances etc. and of course played a lot of football. In the past, Great Malvern has had similar football themed weeks where the children were mixed from reception to Year 6 and would play together as a team. This time we decided to keep it simple and allowed the children to stay in their own class and compete as a team. The children really enjoyed participating with one another, whether that was playing in the football matches or learning about their chosen country. Each year group would play their fellow class in the football matches, which were played over on Dukes Meadow with full size Samba goals to make it more exciting for the children. The opening matches to be played on the first day, were Russia vs Germany and Spain vs Morocco. The score between the Year 1 countries was 3-2 to Russia and between the Year 2 countries was a draw 1-1. The children played some fantastic football across both matches and some great goals were scored as well. The next day (Tuesday 19th June) saw Iceland take on Japan and Sweden take on Poland. Iceland played amazingly as a team successfully scoring 9 goals in the first half and then a further 5 in the second half. Japan wasn’t intimidated by the strong attacking presence of Iceland and managed to get a consolation goal right at the very end. Even though Japan were losing, their team spirit was incredible. The Sweden and Poland game was very close; the first half consisted of both teams scoring 2 goals each. The second half however went downhill for Sweden who conceded 4 goals from some great attacking play by Poland making them the overall winners of the match. The final day of the football tournament saw Belgium taking on Portugal and Switzerland taking on Mexico. Both Year 5 and 6 classes produced some superb football, the atmosphere was fantastic it was as if the match was being played at Wembley Stadium. Belgium were the successors beating Portugal 7-3, if it wasn’t for the tremendous goalkeeping display from Teagan Ford, the game would have been a lot closer. The final match of the competition saw the Year 6 classes Mexico and Switzerland take each other on to see who would be the worthy victor and claim the title of the best footballing class. The first half saw Mexico take the early lead of 2-1 and continued to dominate the match by winning 5-2 overall in the second half. The winner of the competition was based on most goals scored throughout the tournament, goals against was also taken into account. The winners of the Great Malvern World Cup were Iceland who managed to score a whopping 14 goals having only conceded 1 goal. In second place was Mexico who ended up scoring a total of 7 goals conceding only 2 goals and finally in third place was Belgium who scored 7 goals but conceded 3 goals. As you can see it was a very close finish between second and third place, only 1 goal affecting the outcome. The last day of World Cup Week was the award ceremony, where 1st, 2nd and 3rd came up to the front of the assembly too receive their certificate. A huge thank you to all staff members who made a special effort across the whole week, making it enjoyable for their class. On Monday 18th June 2018, Great Malvern hosted the annual Tanga Football Tournament on Dukes Meadow. A total of 7 schools across the area took part in the event, fighting for the chance to bring the Tanga Shield back to their school. Each school entered one team and would play each other to determine the winner of the competition. Great Malvern got off to a great start by managing to draw in their opening matches and to not concede any goals. The competition was up for grabs at this stage as most schools were playing some fantastic football and it was too close to call. As the competition progressed, Great Malvern were looking like strong contenders for the shield, we needed to win our few remaining games if we wanted any silverware. Unfortunately, we conceded in the dying seconds of the game which put us third overall. A massive well done to the children who played in the competition. Hopefully next year we can bring the shield home. Many congratulations to Somers Park for winning the Tanga Tournament. 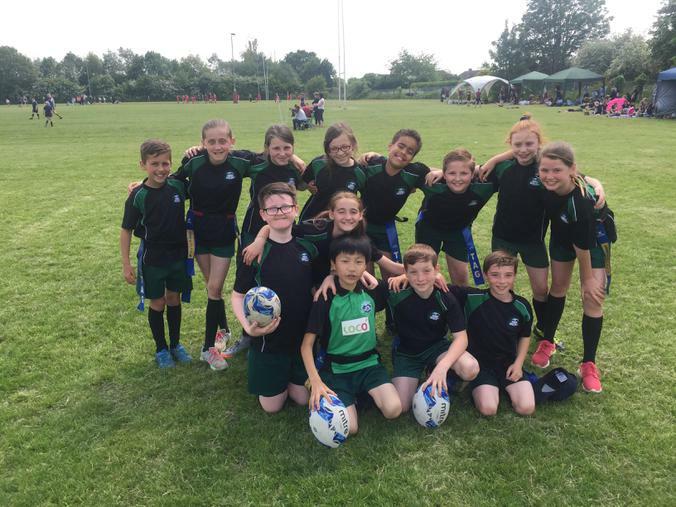 On Friday 18th May 2018, a group of 13 children from Years 5 and 6 represented the school at the annual Malvern Tag Rugby Competition. The children were very excited to be participating in this fantastic tournament against other schools across the area. The children were put into a group consisting of 3 other schools where they would play three matches. Once the three matches were played, the outcome of our results would determine how much further on we would progress in the competition. The children played fantastically in the group stages, managing to win 2 out of the 3 and losing just one match. This meant that we came second in the group and would progress further. Once all of the results were collated together we found out that our next game would be very important and needed to win if we wanted to be in the running for the trophy. Unfortunately, we were unable to win the match, however, it wasn’t all doom and gloom. The children were able to continue in the competition but knew they would not be getting a top 3 finish. In the last three matches the guys managed to win 2 of their games and lose one, giving us the overall position of 10th place which is a fantastic achievement. They worked tremendously hard together, as a team, and their attitude towards the opposition and referees was brilliant. Many thanks to Malvern Tag Rugby Club for hosting the competition. On Friday 20th April 2018, 30 children from Year 4 were selected to represent Great Malvern in the Level 2 School Games Tri-Golf competition that took place at Bransford Golf Course. The children were very lucky as they had the opportunity to take part in a wide range of different golf activities. The competition consisted of eight different stations/games (Bullseye, Dominoes, Drive for show, Putt for dough, Finders keepers, Grand National, Tunnel ball, Zone ball and Down the middle), the children’s most favourite game, that they played, was Finders keepers. There were a total of 8 schools at the competition who all brought 3 three teams, with them which meant that over 200 children participated. The children performed fantastically, our sportsmanship and respect for other players was also brilliant. We are yet to find out the results of the competition but they will be posted once we have been notified. A special thanks to Bransford Golf Course for hosting the competition. On Wednesday 21st March 2018, 8 children from Years 4, 5 and 6 were selected to represent the school in The Level 2 School Games Indoor Mini Tennis competition at Manor Park. The tournament was split into two separate competitions, a Year 4 tournament and a Year 5/6 tournament. A total of 6 schools competed. We got off to a great start with both teams winning their first few opening matches putting us in a comfortable position. As the day went on, the competition got tougher and tougher and the children battled it out competing against other high ability players. The children worked extremely hard and gave it their all, we managed to finish second place for the Year 4 competition, only missing the top spot by goal difference and came third place in the year 5/6 one. Our behaviour throughout the day was fantastic and our sportsmanship was superb. A special thanks to Manor Park for hosting the tournament. On Friday 19th January 2018, we were invited to take part in the Level 2 School Games Sportshall Athletics at The Chase High School. 16 children from Years 4, 5 and 6 represented the school in this prestigious event, where they competed against 5 other schools within the area. The children took part in a variety of different track and field events, performing triumphantly in both. The format of the competition was split up into girls and boys, where the girls would race in the track events first whilst the boys would take part in field events and would then swap over. A special thanks to The Chase for hosting the Level 2 School Games Sportshall Athletics. On Wednesday 17th January 2018, a group of 15 children from Years 5 and 6 represented Great Malvern in the Level 2 School Games K.A.B (Kurling, Archery and Boccia) competition which took place at Dyson Perrins. The competition was split up into three different sports, the children were selected beforehand and their chosen activity. 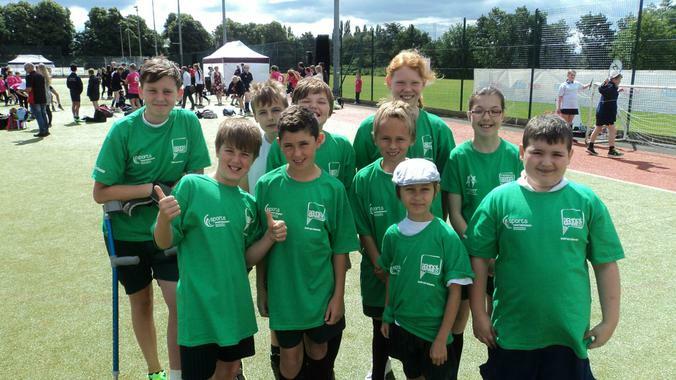 In total, there were two other schools who were competing for the chance to progress to the Level 3 School Games. Four pupils took part in the Kurling event where they played a total of two matches successfully winning one and losing one. The group had managed to finish second which is a fantastic achievement. There were only two schools that took part in the Archery competition. The event was comprised of four different activities, Unlock the Drawbridge, The Mighty Oak, Traffic Cones and Shoot the target. The children really enjoyed the array of activities and performed excellently, scoring a very respectable 817 points. We were on the verge of winning the Archery competition but unfortunately missed out by a couple of points resulting in a second place finish which again is a fantastic accomplishment. Last but not least the Boccia competition, the Great Malvern team faced two tough oppositions and knew it would be a challenge for them. The children played a total of two games which was split up into three rounds. Due to our superb effort and team work, we managed to win the majority of the rounds/games making us the champions of the Level 2 Boccia School Games which we will progress to the Level 3 stages during the Summer term! A massive congratulations to the Great Malvern teams, they worked incredibly hard and it was great to see the children interacting with other children from different schools. A special thanks to Dyson Perrins for hosting the Level 2 School Games K.A.B Competition. On Monday 20th November, Great Malvern were invited to a K.A.B (Kurling, Boccia and Archery Arrows) Festival at The Chase High School. Nine children from Years 5 and 6 were selected to represent the school and participated in three different sports, which they had not played before. The sports that the children played were Kurling, Archery Arrows and Boccia. The children spent 25 minutes on each sport but played three different activities in that time. It was fantastic to see the children interacting with other children from different schools within the area and taking part in sports which they were not that familiar with. The children enjoyed the festival from start to finish, our behaviour was excellent and the children gave 100% effort in each activity and sport. 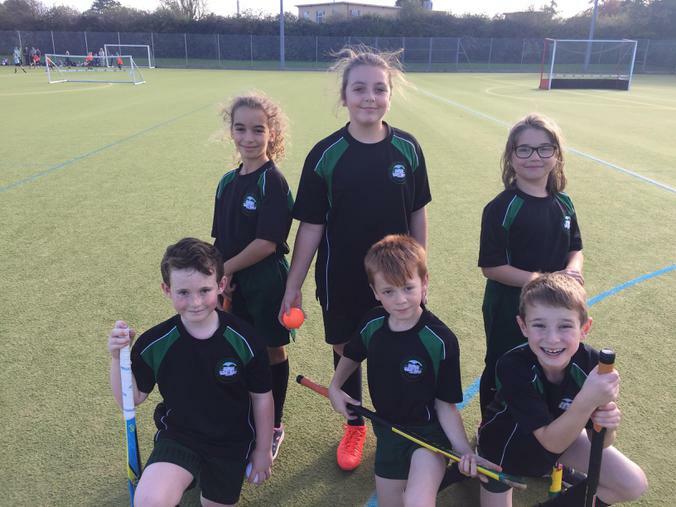 On Monday 16th October, a group of Year 4 children took part in the Level 2 School Games Quicksticks Hockey competition at The Chase High School. There were eleven schools in total, which competed for the chance to progress to the Level 3 stage of the competition. We were put into a group consisting of five other schools and we would play each school to determine who would go through as winners to play in the finals. Out of five matches, we managed to win 3 and lose 2 putting us in a comfortable position to progress to the Third and Fourth place finals. In our final match of the competition, we ended up scoring in the dying moments of the game giving us Third place, which we deserved. A fantastic performance from our Year 4s, coming Third out of eleven schools is a great triumph. A special thanks to The Chase for hosting the competition. On Friday 13th October, we entered the Level 2 School Games Cross Country Competition which was held at PeachField Common. We took a total of 31 children from Years 4, 5 and 6 and they competed in their chosen race. There were around 800 children that participated in the event which created a fantastic atmosphere. Throughout the competition the children gave it their all, we came First in two races and finished Second and Third in a few other races. The majority of the competitors finished above 20th place, which is an outstanding achievement. A huge congratulations to Jack White and Maria Moran who will be representing Great Malvern in the Level 3 School Games Cross Country. On Wednesday 11th October, we held our first House Cross Country event of the new school year. This was the first time that the whole school had gotten together and competed for their house. With the help from our new Young Leaders we managed to run a safe and successful Cross Country. It was fantastic to see the new Year 1 battling against their friends for the first time whilst a crowd of other children chanted and supported them as they ran towards the finish line. Congratulations to all the children who competed and a special well done to the children who came First, Second and Third and as a result for their exceptional hard work and effort were rewarded with a certificate in front of the whole school. On Wednesday 4th October, a group of 10 Girls from Years 5 and 6 were asked to represent Great Malvern Primary in the ESFA Girls Primary Schools Football Tournament at Dyson Perrins High School. We were put into two groups consisting of five schools per group and played a total of four matches. In those matches we managed to draw three of our first games giving us a total of three points putting us in a comfortable position to progress into the semi-finals. We needed to either win or draw our last game for us to continue in the competition but sadly we conceded a late goal in the dying moments of the match. Considering this was the first tournament that the girls had played with one another, they performed fantastically and worked very well as a team. Our team spirit and sportsmanship was, as always, exceptional. Well done Great Malvern! A special thanks to Dyson Perrins for hosting the competition. On Wednesday 22nd March, we entered the Level 2 School Games Tennis for Years 4/5 and 6 at Manor Park. 8 children from Year 4, 5 and 6 were selected to compete in this competition, competing against 10 other schools. The ability level was very tough and we knew that it wasn’t going to be an easy competition for us. We gave it our all and came in a respectful 3rd position in the Year 3/4 tournament and came 4th in the Year 5/6 one. Our behaviour was fantastic and our sportsmanship was phenomenal. A special thanks to Manor Park for hosting the competition. On the 15th and 16th March we were very fortunate to have had a skipping coach come into the school to teach the children how to skip correctly. He then showed staff members games to use during playtime and lunchtime. Across both days every child had been taught a different style of skipping and showcased their skills in a skipping extravaganza in front of the whole school. The coach himself was very impressed with the high standard of skipping that we have in our school and was even impressed with certain staff members too. Since the two skipping days, the majority of children now have their own skipping rope and have brought it to school every day. Playtimes and lunchtimes have been more enjoyable by implementing “Double Dutch” and other long rope games in the playground. Our Young Leaders have been trained how to deliver similar games to children, who wish to take part which has increased participation. Both days were very enjoyable and the pictures that you can see; show how much of a positive impact it has made on the school. On Tuesday 7th March, we entered the Level 3 Winter School Games Finals in both Indoor Athletics and Quicksticks Hockey at The University of Worcester. 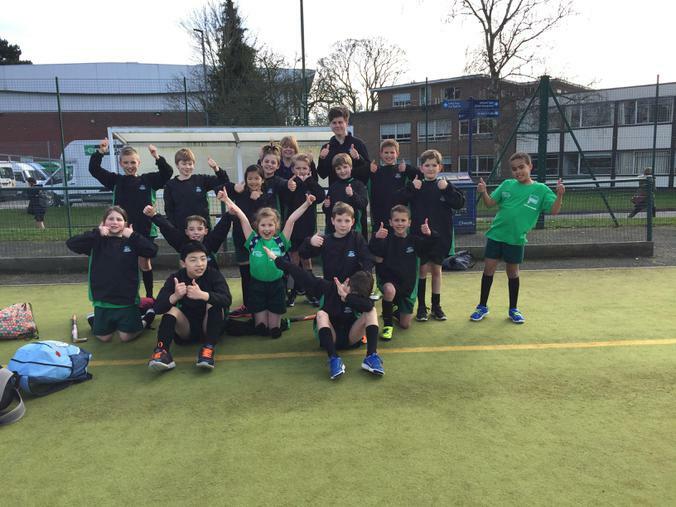 16 Children from Years 4,5 and 6, were selected to represent Great Malvern in this tough and heated event, where they competed against 6 schools in both sporting events. The level of ability was extremely high, competing against the best schools in the county. We gave 100% in both Athletics and Hockey resulting in a fair and noble position overall. Throughout the whole competition our attitude and mindset was superb and our sportsmanship which, as always, was fantastic. A special thanks to The University of Worcester for hosting the competition. 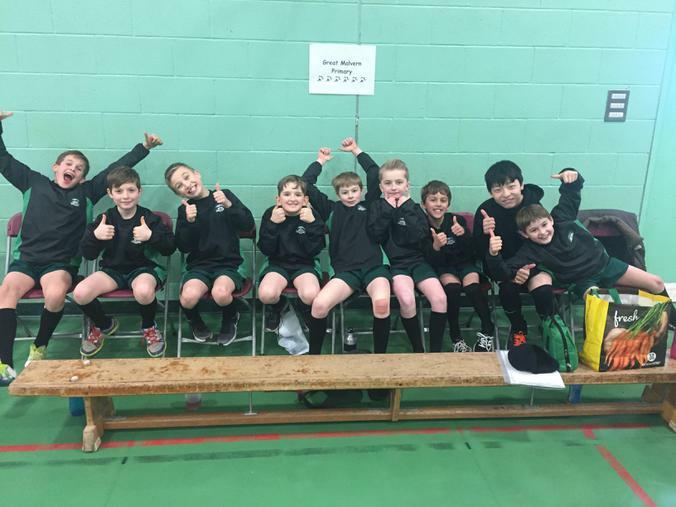 On Friday 10th February, we were invited to take part in The Worcestershire West Year 5/6 Sportshall Athletics at Hanley Castle High School. Nine children, from Years 5/6, were selected to represent Great Malvern in this prestigious event, where they competed against nine other schools in the area. We competed in various track and field events, excelling in both. Due to our triumph, we have managed to reach the Level 3 Winter School Games taking place at The University of Worcester. We are delighted to have reached the finals and hope to be successful in the up coming weeks. Throughout the whole competition our team work was fantastic and our sportsmanship was amazing! A special thanks to Hanley Castle for hosting the competition. On Wednesday 9th November, Great Malvern were invited to the School Games Level 2 Inclusive Sport Festival at Tenbury Ormiston Academy. 11 children from Years 4, 5 and 6 were selected to represent the school and took part in three different sports, which they had not played before. The sports that were played consisted of Boccia, New Age Kurling and Archery Arrows. The children spent roughly 30 minutes on each sport and would then rotate to the next event. Due to the insufficient amount of schools it meant that Great Malvern and Rushwick were the only Primary schools that took part in the Festival. This allowed the children to interact with other children and staff members, which they enjoyed very much! It was fantastic to see the children interacting with others, our behaviour was excellent as per usual and the children gave 100% effort in each sport! A huge thank you to Tenbury Ormiston Academy for hosting the Inclusive Sport Festival! On Wednesday 19th October, 8 children from Years 5 and 6 were asked to represent Great Malvern Primary School in an all-girls Football competition at Dyson Perrins High School. We played our first three matches and managed to win 2 of them and draw 1, putting us in with a good chance of getting to the semi-finals. We successfully got through to the semi-finals by scoring three goals and conceding none which made our chances of winning the competition high. Unfortunately, we only managed to draw against our opposition and due to our goal difference being three goals less than the team we had played; it meant that we would not go any further in the competition and we would now play for third place. The final match resulted in a draw again, so the outcome left us with third place, which is a fantastic achievement considering there were 12 teams that entered the competition. To conclude, the day was a success, we went through the whole competition by not conceding a goal and not losing a game! Well done Great Malvern! 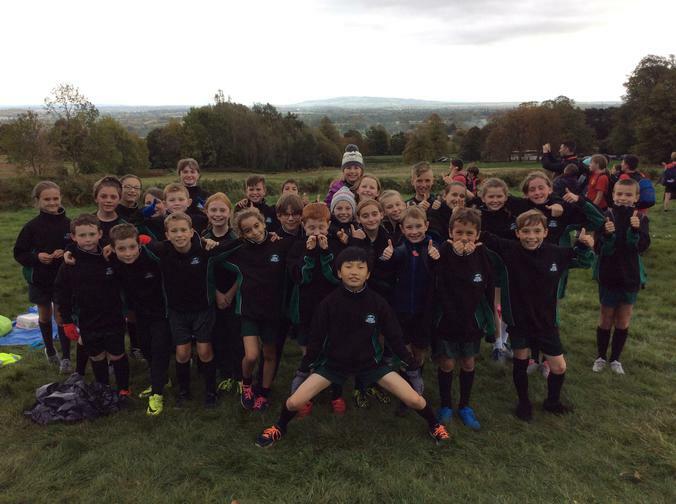 On Friday 14th October, Great Malvern entered the Malvern Schools Cross Country competition at Peach Fields Common. We took a total of 28 children from Years 4, 5 and 6 and competed in their chosen race. There were 22 schools in total at the event, the atmosphere was fantastic and it was great to see the children mixing with other schools. Our behaviour on the day was amazing and our sportsmanship was phenomenal, several of our children even shook hands with the runners next to them at the end of the race. We are delighted to say that we were the only school to stay behind and pick up litter which is something for all children to aspire towards. Stephen Morris (Y5) and Amber Mercer (Y5) were chosen on behalf of Great Malvern to thank the organisers due to their good sportsmanship and excellent behaviour. On Friday 7th October, we were invited to take part in the Year 4 mixed Quicksticks Hockey tournament at the Chase High School. Eight children from Year 4 were selected to represent Great Malvern in this prestigious event, where they competed against 12 other schools around the area. We played 6 matches and managed to win every one of them, conceding just one goal! Due to our success we ended up in the final and battled extremely hard until the very last whistle and managed to score and win the match. This now means we will participate against other schools around the region in the new year at the University of Worcester. Throughout the tournament we worked and played very hard, working as a close unit, which was fantastic to see. It was great to see our parents at the final who encouraged and supported the team throughout! A special thanks to The Chase High School for hosting the tournament. On Friday 30th September, we hosted our annual House Cross Country competition where the entire school took part and competed for their house. The event took place over at Dukes Meadow and with the help of our new Young Leaders we managed to create a perfect replica of a Cross Country track. It was great to see the children work extremely hard and supporting fellow school members with constant cheering and applause. The highlight of the event took place in the final race, where two certain individuals were neck and neck throughout the whole contest which nearly resulted in a photo finish! On Tuesday 27th September 2016 a squad of 10 participants from Years 5 and 6 were selected to represent Great Malvern Primary School in a 7-a-side Football Tournament, that took place at Dyson Perrins High School. Throughout the tournament our team showed great sportsmanship and 100% effort in each match. Considering it was our very first tournament together I feel that we can take a lot of positives from it and rebuild on our weaknesses for the next fixture and come back stronger! 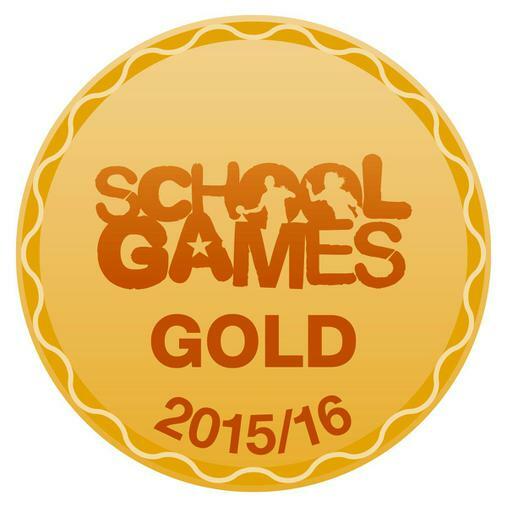 After years of hard work, Great Malvern Primary School has finally been awarded The Gold Award for School Games. This is a fantastic accomplishment and it just shows that all the effort and dedication to hitting this goal has been rewarded. 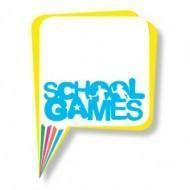 The School Games is a scheme that rewards schools for their commitment to the development of School Games and competition across their school and into the community. Schools are assessed against a criteria which enables schools to assess themselves, giving an overall grade. We are thrilled to have been awarded this prestigious recognition and we aim to continue achieving as much as we can. On Thursday 14/07/2016 Great Malvern were invited to take part in a Outdoor Athletics festival at Somers Park, competing in events such as sprint, sack racing, long distance run and bean bag throw. We selected 30 pupils from Year 4,5 and 6 to represent the school and to showcase our skills. Throughout the day the students took part in there own individual activity and gave 100% effort in, Well done Great Malvern. Overall, the afternoon was a great success, each child was given a medal for there hard work and effort throughout the event. It was fantastic to see both schools interact with one another once the activities were over. New skills were learnt and improved upon and the children thoroughly enjoyed themselves. A special thanks to Somers Park for hosting such a fun and enjoyable event. On Tuesday 05/07/2016 Great Malvern were invited to represent Worcestershire West at the Worcestershire Summer School Games at Bromsgrove School, competing in an Archery Arrows competition. We selected 10 students from both years 5 and 6 to represent the school at this event and showcase our Archery skills. Throughout the day the students took part in 4 different types of games that tested, accuracy, teamwork and throwing which we gave 100% effort in, well done Great Malvern. To conclude the day was a success, out of 7 schools which took part Great Malvern finished fourth place and missed third place by only 2 points!! New skills were learnt and improved upon and the students thoroughly enjoyed themselves. A special thanks to Bromsgrove School for hosting such a prestigious event. On Thursday 09/06/2016 Great Malvern were invited by the Old Victorian's Cricket Club in Worcester to attend an inclusion cricket day at their home cricket ground alongside 3 other schools. We selected 12 students ranging from years 3 to 6 to represent the school at this event and showcase our cricketing skills. Throughout the day there were multiple activities that involved, throwing, catching, batting and fielding which we gave 100% effort in, well done Great Malvern! To conclude the day was a success, friends were made, skills were learnt and improved upon and also was fun for everyone. A special thanks to the Old Victorian's Cricket Club for hosting such a wonderful event. After shortly waving goodbye to the Spring term, we welcome the Summer with none other than an Olympics themed week for the whole school to participate (staff included)! Every child from years 1-6 have been carefully selected for 10 different countries to all battle it out for a shot at winning the Gold, Silver & Bronze medals! There are various different events on each day of the week - pictures to follow. On Monday 23/05/16 the whole school battled it out on the field for the cross country event! WHAT A SUCCESS! Every race was run extremely well by everybody and some interesting results that followed... Even the reception children had a race, a great day & a special thank you to the staff that helped make the day run smoothly. Following a successful Cross Country event, on Tuesday 24/05/16 each country competed in a Tug of War competition, an extremely popular event in previous years. Before the start of the event, countries were split up into two different pools, A & B. Each game consists of a minimum of two rounds, best of 3. The winners of pool B (Brazil) went on to play the runners up of pool A (USA), after USA took the first round Brazil came back to win the game 2 games to 1, well played. Whilst this was happening the winners of pool A (Algeria) went on to play the runners up of pool B (Australia), Algeria took both rounds early giving them a guaranteed spot against Brazil in the finals, great achievement! The finals were upon us, both teams won every game in their pools and the stage was set for a grand finale, Algeria vs Brazil! The first round was off - it was backwards and forwards with momentum swinging dangerously in Brazil's favour at times but after a lot of energy expenditure from a resilient Algerian defence, they took the win - 1-0 Algeria. After a tiresome first round both teams had a break and a time for a drink before starting the second round, the substitutions were in and we were ready to go. Another gruelsome round followed, but resulting in Algeria winning the second round giving them the overall win 2-0! Perfect Algeria, well deserved and commiserations to the runners up Brazil, you put up a great fight. Following the results of the Tug of War, the competition is completely open and its any ones to win or lose! There was some excellent efforts of the field today and teamwork was key in each and every countries success. Well done everybody and we look forward to tomorrow's events! Wednesday 25/05/16 - field events day! There was 3 events to compete in today in our Olympics Week 2016 which included the Long jump, Shot put & Bean Bag throw. All countries battled hard throughout the duration of the after noon, great team efforts. The Long jump saw Mexico take the first spot whilst Shot put was Belgium's win & lastly the Bean bag throw went to Spain. Congratulations to the winners, the results have shaped the competition nicely for a grande finale of events. We look forward to what tomorrow has to offer! Thursday 26/05/16 - the final day of events! today holds, Indoor Athletics, Hockey Slalom & Arrows. lots of fun for everyone! Until this point, the competition has been extremely close with everything to play for and nothing to lose! After each country battling hard throughout the afternoon, the results will have to be revealed tomorrow along with the runner up and 3rd place. The final day of our Olympic Week competition, Friday 27/05/16. Following an exciting week away from the norm, the ceremony day is finally here. The scores were extremely close being only 6 points between 3rd and 1st place! After everyone experiencing a bit of each of all 10 countries tradition through dances performed by the children of each country. Now for the results... In first place Australia, 2nd place Spain, 3rd Algeria, joint 4th USA & Brazil, 5th Mexico, joint 6th Chile and Belgium, 7th Croatia and 8th France. Each and every country battled extremely hard and showed exactly what we can do when we stick together as a team and work towards achieving a goal, if not winning the competition we believe that everybody gained something from participating and following all the Olympic values. Thank you Great Malvern Primary School! Towards the closing half of the Spring Season, The Chase High School hosted two separate events for primary schools to attend in the local area. One of which was a Multi Skills event for years 1 & 2 & also a Gymnastics event for year 3. The events were predominantly led by the young leaders of the school in years 7 and 8, very impressive! Both the events ran incredibly smoothly, everyone was involved, listening and enjoyed themselves tremendously. Thank you The Chase for hosting such brilliant events. 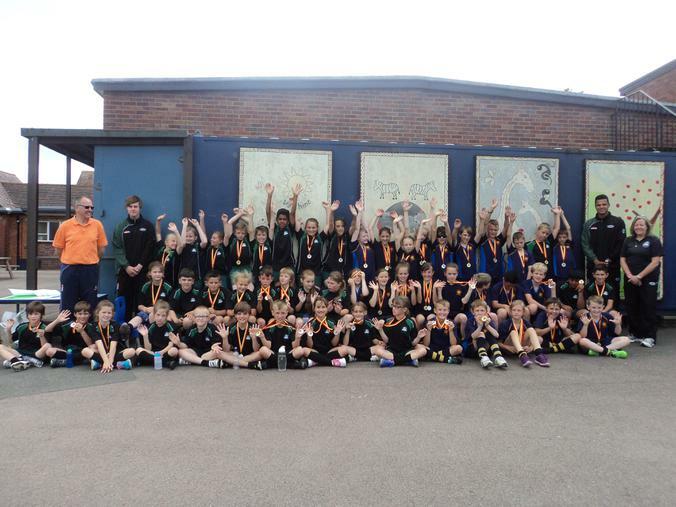 This Autumn was the Year 5 & 6 Cross Country run. The event consisted of various different schools from around the Malvern area competing against each other. Each school had a maximum of 4 runners per race. The races that we competed in were as followed: Y5 fun race - Y6 fun race - Y5 Intermediate race - Y5 Advanced and finally Y6 Advanced. In each race at least one of our Great Malvern pupils finished in the top 4 position, this is a great achievement Great Malvern and we are all very proud of you! Also a very warm thank you to all the teachers and PE staff who were involved in ensuring that the event was a success. First we had the opening ceremony; all the countries came out onto the field with musical instruments, making as much noise as they can! Furthermore the country’s flag bearer waving their country flag. Next we had cross country where we had to run and pace ourselves around the field, also each country had a designated area to sit and support their country. Afterward we had a penalty shoot-out; we each had 3 penalties to take against the opposing side. Then we had an agility test where there were 4 balls and a basket and we had to put the balls in the basket as fast as possible. The following day we had key stage 2 track events where each child would participate in: a sprint, egg and spoon and object pick up race. All of the children from each country got to select a football activity to participate in there were a choice of: speed shooter, distance kick and football golf. This week has been enthusiastic and exhausting but overall remarkable.